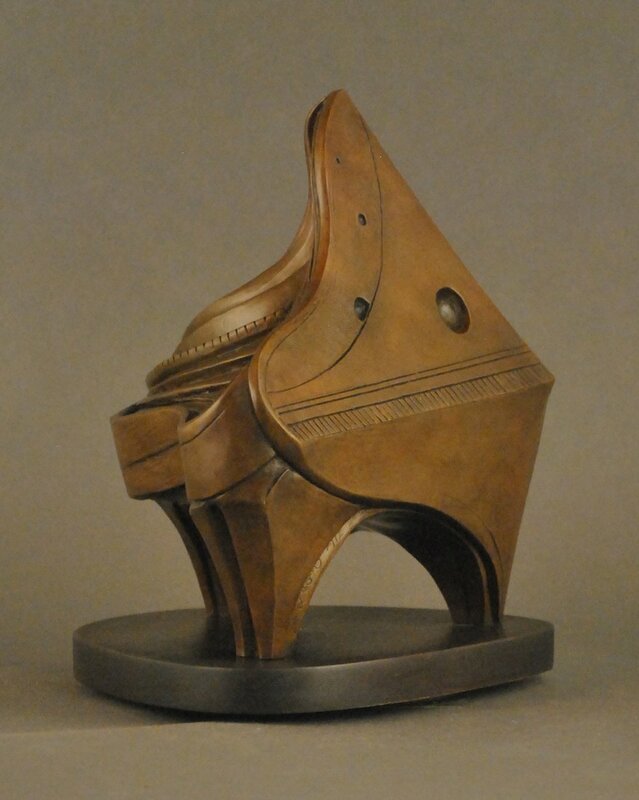 This sculpture is a bronze, abstract “portrait” of the jazz pianist and composer, Thelonious Monk. It is what his music "looks" like to me— angular and off-tilt, and gracefully resolved—the man, the piano, and the music becoming one. His melodies swirl, skip, & flow over staggered, syncopated rhythms. His ballads, such as "Ruby, My Dear" & "Round Midnight" are the epitome of poignancy & grace. Those musical qualities are what I have tried to capture in sculptural form. Bronze, edition of 12 (varied patinas). 13 x 12 x 9.5 inches.